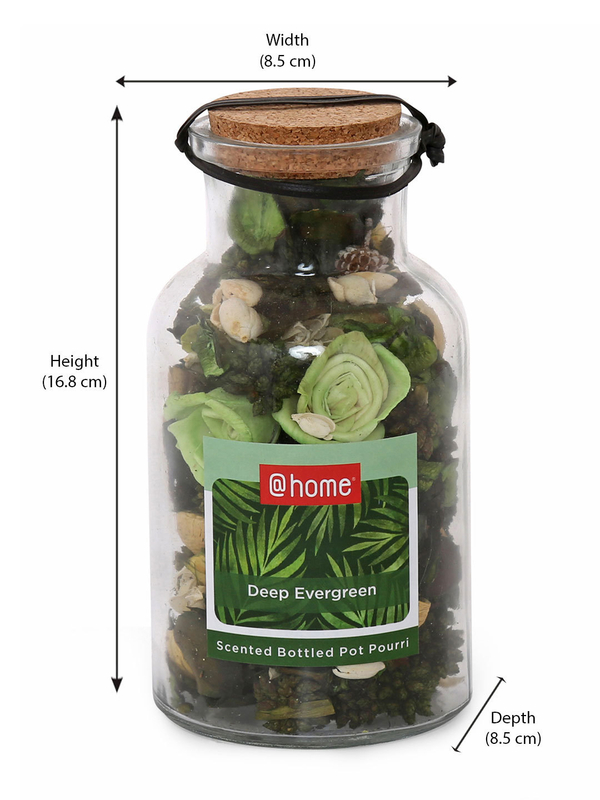 Mesmerise your home with some floral aroma, let the corners blossom of buds and petals with the aromatic assortment. Gift yourself Azure Aura Bottle Potpourrie, set of 3, an alluring blend of flowers and shrubs. Place it right next to your bedside lamp and witness the refreshing and blossoming garden grow inside your house, aiding in natural aromatherapy at your comfort. Rendered in heart melting fragrance, the Azure Aura Potpourrie is sure to make your adobe smell like a bouquet.